While in Florida, I noticed the beautiful leaves along the sand dunes.. I love their shape, they were my inspiration for this silver decade necklace! With the three intertwined circles, this is the perfect Anniversary gift or 30th Birthday decade necklace! For a walk on the beach with the wind in your hair, this is the perfect necklace! 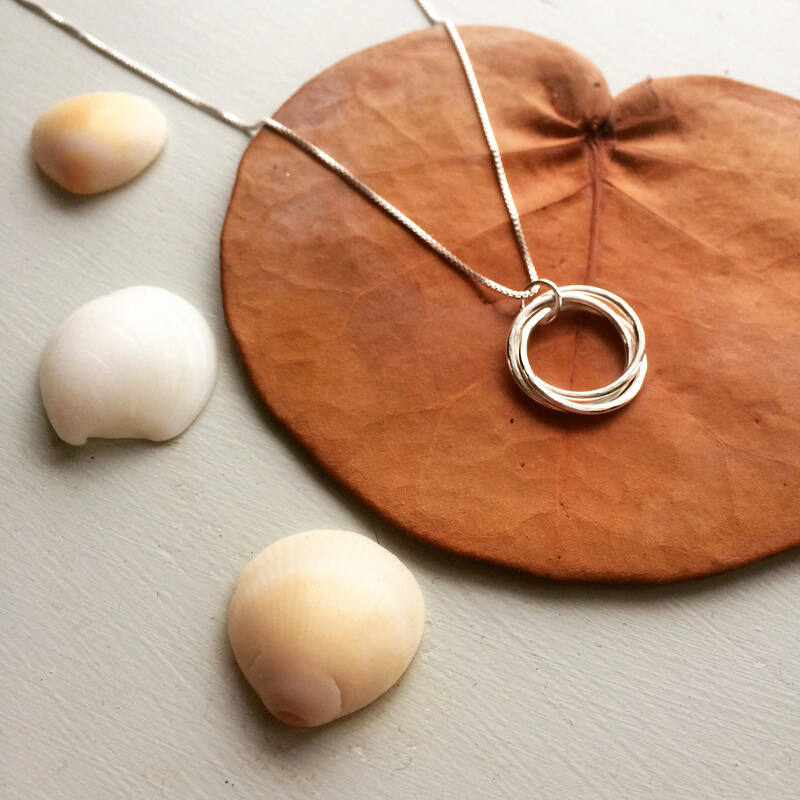 Size: The Intertwined circles are hand-made with Sterling Silver, their size is 3/4"
Chain: The necklace chain is pure sterling silver, a high quality chain! Length is 18", If you PREFER a 20" chain, please let me know in "Notes to Seller" at CHECKOUT, Price will remain the same!! All jewelry is hand-made by me, Betsy Murray of Sunshine On Water, in Upstate NY! Thank you for supporting hand-made! Item was as described. Arrived timely. Pleased with product and service. I'd suggest maybe adding a description of the diameter of the rings (if it's not already entailed).